Let me ask you a question, where does great music come from? Well, for me, it starts with an idea, to quote Sir Terry Pratchett, “a small inspiration particle”, that can then flower and grow into something more tangible. These ideas may take input from other people and morph slightly to be something similar and, yet at the same time, different. Add layers to these ideas, music, lyrics etc. and you can then end up with a complete song. One song on its own does not a musical cornucopia make but, when a collection of songs can join together into one cohesive record, then you finally have something that people will love and will stand the test of time. The skill is repeating this process more than once and coming up with something different every time. There doesn’t have to be a large divergence but enough to differentiate the works and show the listener that you have moved on and are using new and exciting concepts. Evolution here is key or musicians can stagnate and lose any momentum or goodwill. Have they taken that initial promise and built on it with new ideas and inspirations to deliver something new and exciting yet defined by their signature sound? First a quick band history…. Aaron Clift (vocals, Keyboards) began writing the songs that would appear on ‘Lonely Hills’ back in 2008. In 2009 he met the band’s drummer, Joe Resnick and they cut the demo with just piano, drums and vocals. 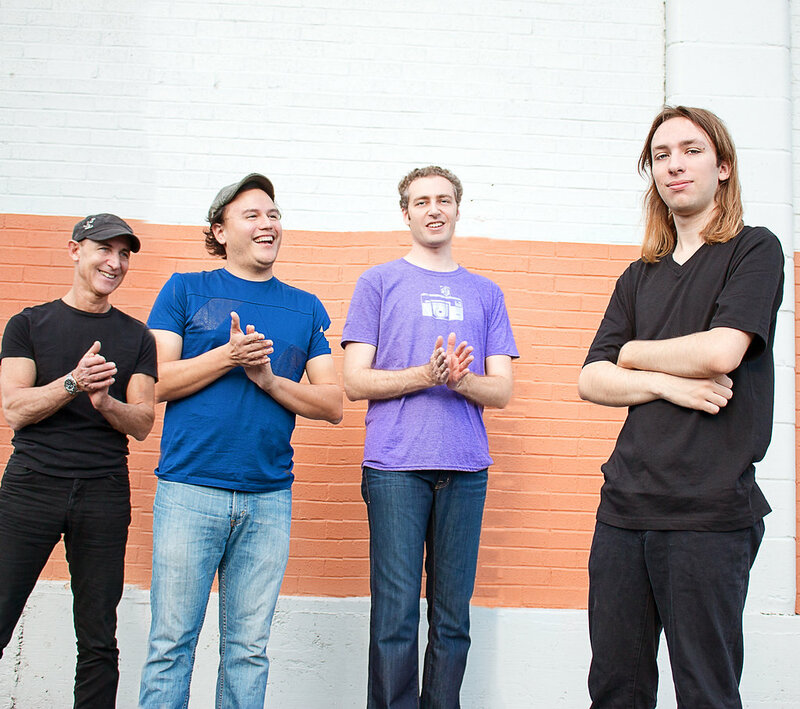 Originally Aaron was going to release the music under his own name but, after hearing the demo he decided the songs needed a rock edge so he recruited Jim Ragland on guitar (Jim left in 2013 to be replaced by Eric Gutierrez) and Joe Green on bass. 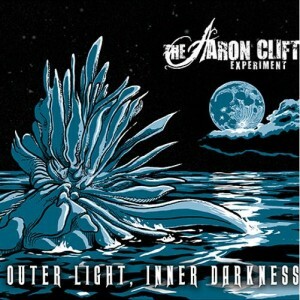 Now he had decided to work with a full band, he gave the project the moniker The Aaron Clift Experiment. Joe Green left in 2014 and Devin North now sits on bass duties. I have to admit that I was expecting something special from these guys after the considerable promise shown in ‘Lonely Hills’ so the new album ‘Outer Light, Inner Darkness’ would really have to shine. 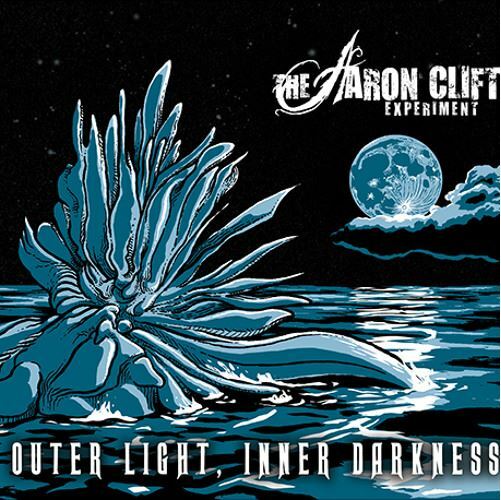 Unlike the first album which was conceived and written solely by Aaron himself, ‘Outer Light, Inner Darkness’ was mainly a collaborative project which the band believe has resulted in some of their strongest material yet. Well blow me down, the first track on the album Kissed by the Sun hoves into view like a particularly well intentioned chariot of fire with guitar and violin blazing a stylish trail to cut through all before them and you immediately sit up and take notice. A subtle bass line and drum beat then anchor the song as a diverse guitar winds melodies around your mind. Aaron’s vocal begins, sinuous and notable, backed by the eloquent violin before breaking out on the dynamic chorus. Energetic and full of good will, this track vitalises you, running a musical current right through your nervous system. The powerful guitar riff, spirited piano and passionate violin really give it enormous substance, add in a really impassioned guitar solo and a funky break in the middle of the song with some great harmonies and a super smooth bass run and you have a rather impressive opening to the album. I’m getting a pastoral note with some american rock vibes going on here, as if Ben Folds Five reformed with members of Echolyn and spent a whole summer listening to the Big Big Train back catalogue and that feeling is only enforced by Locked, the second track has a much more laid back, stylistic edge to the opening. The vocals have a note of impassioned emotion to them. The whole rhythm section takes on a stylish jazz feel with the piano front and centre and it all feels like a journey though someones wavering emotional state. Highs and lows abound, the guitar solo has a real raw centre and scrapes your raw nerves to the bone. As the track closes out, it seems to take a thoughtful, pensive note as if looking back in a rueful manner. An intelligent, deep song that leaves a lasting impression on you. A more discordant note opens Fragments of Sleep, counterbalanced by a repeated one note piano melody over which Aaron’s recognisable voice delivers the story. It is almost like you are having an interrupted night’s sleep with the rhythm and sound having a fuzzy, jarred edge to it, all sharp edges and yet its distinctive feel really resonates with me. Emotive words and a gently strummed guitar give it some pathos and the delicate violin adds poignancy as it it all comes to a profound close. Sinister and with a darker note to the introduction, Your Arms Hold Them to the Dark takes you on a journey through a world of perpetual twilight. The pace is determined and slow, the guitar riff crashes around you like a dissipating storm clashing with the drums, jolting and rasping against your senses. Deliciously malevolent and mischievous, there is a perverse pleasure to be had listening to this deep and intricate track. The staccato riffing and haunting keyboards add a melodramatic aura and Aaron’s menacing vocal adds the final layer of foreboding to this notable song. That full-on feel of the first song returns with the rather energetic and uplifting introduction to Aoide Goddess of Song. 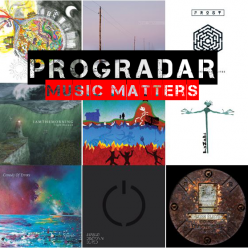 With the distortion seemingly turned up to maximum and and insistent piano note hammering the point home, it is one hell of a pleasure ride around your mind. Things calm down for a moment as the vocals kick in with a layered keyboard note and balanced drum beat setting the tone for the verse but it isn’t long before that oriental sounding guitar note flies off again. This interplay continues throughout the song occasionally moving aside for the heartfelt, rousing chorus. There is an earthy core to the track, something primal and direct that drives it on and this erupts into the coruscating solo that fires straight through you leaving a blazing trail behind. You are left feeling fired up and invigorated, ready for anything. In a stark contrast to the previous track, The Last Oasis begins all sweetness and light, like a boat becalmed out on the ocean. The gentle, meandering piano is underscored by a subtle bass note and the introduction of the graceful violin adds an ethereal tactility to the song. The classical undertones to the music of The Aaron Clift Experiment are at their most evident here, the strings add a subtlety and grace that only orchestral instruments could. As the guitar and drums blend into the sound, the whole song takes on another persona and dimension, not losing that refined semblance but adding a dynamic backbone to the artful fare put before you. It is almost a surprise when the vocals begin, I was expecting this to be an instrumental but Aaron’s profoundly compassionate voice adds a further degree of gravitas to what is already a very sophisticated piece of music. The fundamental integrity and graciousness at the heart of the band’s music is at its zenith on this beautiful song. At just over twelve minutes long Moonscape is the longest track on the album and begins with a military style drum beat at the back of Aaron’s vocal and a repeated keyboard note. You get a feeling of stasis as the repeated intro carries on in a pleasant manner but the anticipation is always rising. The drum beat carries on, overlaid by the sound of a child. This part of the song has a sun-kissed, hazy feel to it, like an early morning walk through a lush countryside. It ambles and meanders with no seeming destination in mind, lulling you along on a wave of good feeling. The guitar saunters on a journey of its own, nothing dictating where it must go next and you end up feeling like your are free of any earthly worries, any shackles are broken and your heart and soul are liberated from worry and strife. This is a track to kick back and relax too, one to listen to through headphones and with a long drink at your side as the delicately strummed guitar leads into an extended keyboard section with a slightly supernatural quality to it, almost an outer body experience. The repeated singing of the album title resonates within and without with a trance like feel and, as the song comes to a close with a harder edge guitar riff and Aaron’s vocalising, the trance is broken, leaving you peaceful and serene. The segue into Bathed in Moonlight is seamless and, once again, the band deliver an utterly serene experience. Aaron’s divine vocal, backed only by a refined, sublime keyboard has a moving quality to it. It lifts your soul and leaves you rapturous as the celestial music washes over you, the guitar bleeds emotion and fervour, leaving you in a sustained state of euphoria. There is nothing complicated happening here but, sometimes, the simplicity of music can be its greatest asset and the effortless musicianship on this track is a delight in itself. As the song, and the album as a whole, comes to a close, I feel a sense of closure, of something coming round full circle to a most satisfactory conclusion. 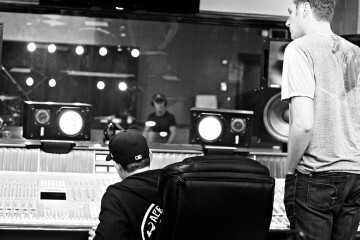 Ideas have blossomed and become something rather special on this album. That early promise of the music on ‘Lonely Hills’ has been expanded upon and ‘Outer Light, Inner Darkness’ is a much more sophisticated and complete record as a result. 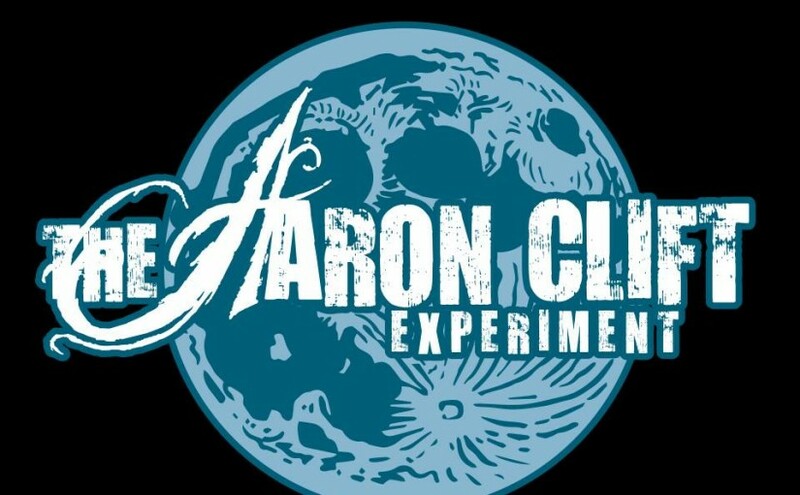 Intricate and subtle yet with raw passion at its heart, it will cement The Aaron Clift Experiment as one of the most exciting and interesting bands currently writing and playing music today. I would advise you to go out and buy it as soon as it is released.